Oceanic basalt contributes many nutrients to all forms of sea life. from the soils in which we grow our food. Watch that Tail MEM! There are similarities between the horse - ancient and modern - with the Apatosaurus of the Jurassic Period; both Vegetarians - browsing grazers - with the same sized head. Apatosaurus grew huge by eating plants grown in volcanic rich basalt soil. 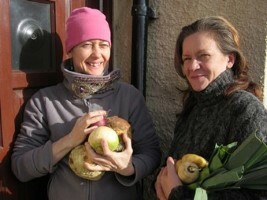 Most of our foods - even those grown organically - can be significantly de-mineralised. Soil used again and again, especially replanted with the same crop, can not only lose minerals but physical substance (top spoil) which carries both organic and in-organic material that aids in the distribution of good bacteria. MOTHER EARTH'S MINERALS is rich mineralised crushed volcanic basalt. We deliver bulk loads of our product to allotments, small farms, specialist growers, individuals and plant nurseries throughout the UK's southwest. 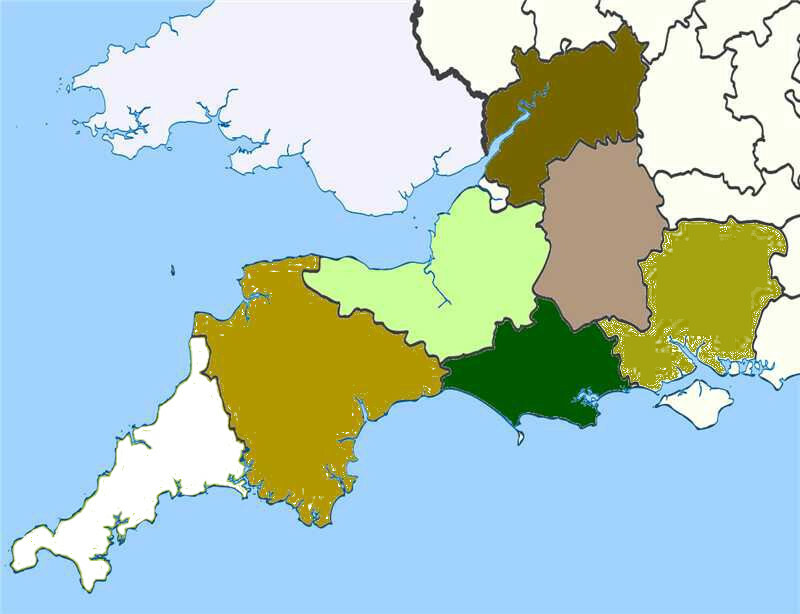 We supply to the counties of the South West. Please contact us for deliveries outside of this area. We first came across the amazing benefits of volcanic basalt while reading an article in the Daily Mail, based on the content of a book by Graham Harvey, entitled 'We Want Real Food'. 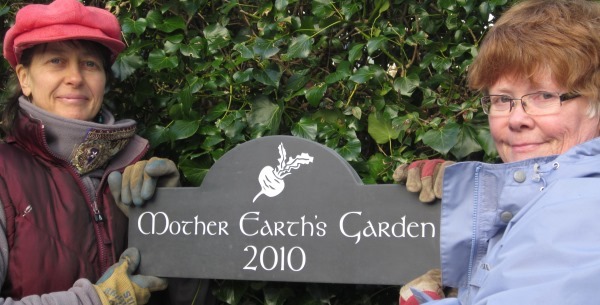 By using crushed volcanic basalt we have grown good tasting and large nutrient-rich vegetables in 'Mother Earth’s Garden' in Combe Martin, Devon. We want to share this information and the benefits of this naturally created product with you, a product that is older than the hills. 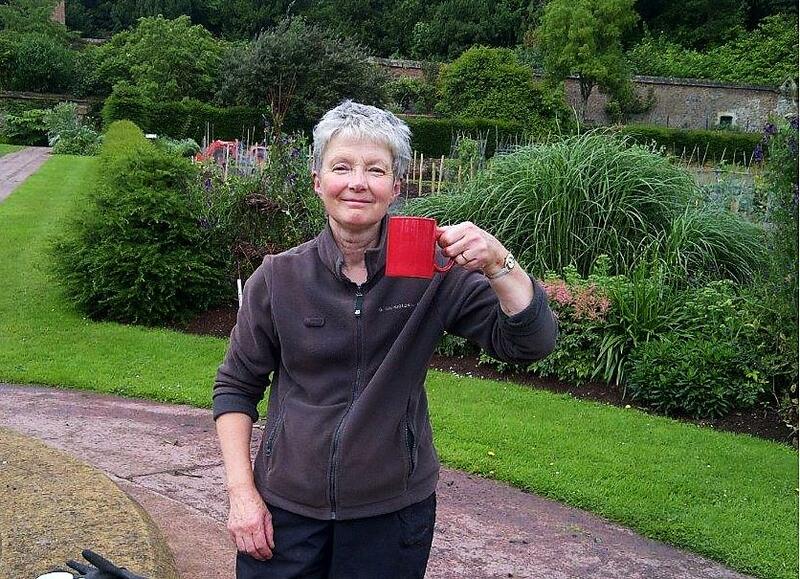 "I have now used Mother Earth's Minerals volcanic basalt for two years in certain areas of the walled kitchen garden at Knightshayes Court. These areas have been with the cucurbits – the marrows, courgettes andpattypan summer squash. These plants have been in the same area for two years and so have had a double dose." The recommended amount of 0.5 kilograms per square metre was not applied, which allows for a single application of volcanic basalt to last five years.). "In the walled garden and the free standing orchard (of) mainly apple trees, have also had two applications in that time. The results have been very encouraging in both areas and I shall definitely continue to use this product." The walled garden (about 2.2 hectares (4 acres) is accredited with the Soil Association and therefore the first job was to check that we could use this product on this site. The results were sent back and approval given. The two years of using this product could not have been more different with the weather conditions; the first year with the cucurbits was wet, cold and grey. The plants which had to go outside eventually started to go backwards and I was afraid we would lose the lot. Each plant was given a couple scoops of basalt around the base of the plant and dug around. That year we had the best crop of courgettes, marrows and pattypans with the plants looking vigorous and healthy throughout the season. I had taken the precaution to cover the whole crop with fleece and I am talking about 300 plus plants, a large area. This must have helped but I feel the benefit of the Mother Earth's Minerals was crucial to their recovery. This year we had the opposite weather situation and the plants were stressed through lack of water. The plants were given the same amount of this mineral rich aggregate as the previous year. Again I have had an amazing harvest. The vigour of the plants has been very noticeable. We mentioned last year of a plan to take a more scientific approach for testing this product. Due to staff changes we were unable to complete our plan but did manage to put the appropriate amount of volcanic basalt in each of the raised beds we were going to use for the purpose. This next season we would like to continue this experiment so that we have more concrete results. The results of the breakdown of this product by the Soil Association made us change the way we used the product. Mother Earth’s Minerals is 58% is Silica which can cause lung problems if inhaled and skin irritation. We use it with staff wearing adequate face protection and gloves, choosing a quiet weather day to distribute. People wanting to use the basalt for remineralisation must consider its weight which is surprisingly heavy. On site we used our tractors to move the product around but had to carry by containers to the actual plants. Gardeners and allotment growers must be fit and without back problems to care more than a half bucketful! I have been very pleased so far with the results of using this product. I haven't mentioned the fruit which is harder to see quick benefits from but am pleased with the health of the walled fruit since using the crushed basalt and will continue to use it every year. The plants have improved in their general health. They had been looking tired and have over the last 2 years picked up in vigour and production." I hope some of this is helpful for you Brigid. I think that the raised testing beds will be good evidence and we will take photos along the way. I hope to meet up with Katherine if she visits with her friend and would be happy to show her the site for our raised bed experiment. We still have a cap left from an earlier visit so will try to remember to pass this on as well. The yield of Hamaker’s crop worked out at 65 bushels an acre, conventional farmers in the area were harvesting just 25 bushels with the same variety. Even more impressive was the nutrient content. In his own mineralised garden, Hamaker grew carrots three inches in diameter. They heard an excerpt on the radio of John Hamaker’s book, which became an inspiration for a new way of life for them which began in 1984. We contacted them and had long talks with Moira. They are visionaries; they live on a farm near Enochdhu, on the poor soil of the southern slopes of the Grampian mountains in Scotland. Here they tried out the techniques in Hamaker’s book, remineralising their soil with basalt dust. As Moira says ‘Our garden is the supermarket of the glen’. They started a charity SEER, Sustainable Ecological Earth Regeneration, with the idea of regenerating soil for future generations. The last three decades of their life has been a voluntary experiment in how to live in harmony with nature and to give back to the Mother Earth. Newer soil research coming out of the U. S. continues to reference the issue of demineralized soil, while following in the footsteps of the work by John Hamaker referenced above. Hamaker was an agronomist, ecologist, mechanical engineer and science writer, not only in the fields of soil re-mineralization through the use of volcanic basalt but was also familiar with mineral cycles, climate cycles and glaciology (the study of glacial development and movement), a topic referenced in the Science portion of this website. Demineralization continues as a current top. The journal, Scientific American, has written about this in an article concerning the depletion of minerals in food, entitled, Dirt Poor: Have Fruits and Vegetables become Less Nutritious? "published in December 2004 in the Journal of the American College of Nutrition. They studied U.S. Department of Agriculture nutritional data from both 1950 and 1999 for 43 different vegetables and fruits, finding “reliable declines” in the amount of protein, calcium, phosphorus, iron, riboflavin (vitamin B2) and vitamin C over the past half century." The Australian group, Remineralize the Earth, "is a non-profit organization whose mission is to disseminate ideas and practice about soil remineralization throughout the world." "Undertaking the task of remineralization is urgent to restore ecological balance and stabilize the climate. Sustainable agriculture in today's world is a major priority, and soil remineralization is playing a crucial and vital role in ensuring the future well-being of all life. Remineralize the Earth, a non-profit membership based organization, promotes the regeneration of soils and forests worldwide with finely ground gravel dust as an economically and ecologically sustainable alternative to chemical fertilizers and pesticides, creating fertile soils much as the Earth does. Not only do we need to recycle and return the organic matter to the soil, we can also recycle the mineral nutrients to create fertile soils and produce healthier crops. The vision of soil remineralization is spreading with a clear momentum from gardener and farmer to industry, scientist and policy maker. Remineralize the Earth is the leading resource in coordinating research and application of this growing science, with practitioners and researchers throughout the world." We at Remineralize the Earth are making rapid progress towards our goal to bring the concept and application of soil remineralization into the mainstream." Mother Earth’s Minerals is a Devon based grassroots company. 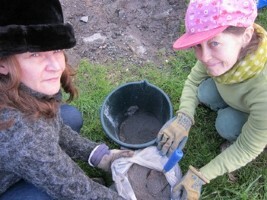 Our interest is to re-mineralise you and your soil. We provide naturally sourced volcanic basalt to replace the minerals that have been lost from soil - and consequently from our food - over the last five thousand years. We supply loose loads and dumpy sacks of this material to seven counties in the southwest; we deliver by contracted trucks with sixteen and twenty tonne load limits with no additional delivery charge to the following areas. If you are located outside the counties listed above, please phone us at 01271 889325 so we can send you a quote for the additional delivery charge. Why Grow With Rock Dust? Over use of soil for farming the natural erosion process - from wind and rain - have depleted the soil. 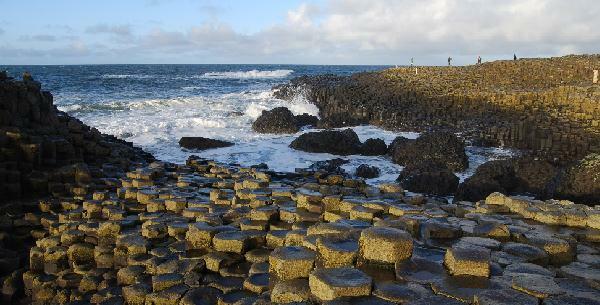 Vulcanization and glaciation are important to creating and distributing minerals across the landscape, and the soils of the United Kingdom haven’t experienced either of these processes for millennia. We’ve found an ideal way to re-mineralise your soil and thus optimally mineralise you. We've done a lot of research into what in our food would normally provide for optimum health. It’s the natural breakdown of volcanic material over time that contributes to the rich mineral content of good soil. With the help of micro-organisms, rain, wind and frost, large bits of volcanic basalt are broken down and distributed as ultrafine dust, so plants can absorb it and pass it along to us and the grazing animals that also eat plant life. Please take time to check the rest of our website, where you will meet Mem, our logo apatasaurus, along the way. Visit our product sales page and other pages on history and the science behind growing things, which are important, as they explain why we sell basalt and show how it relates to the production of better quality food.